CLASSIC PARING KNIFE: This paring knife is the expert of the knife family. We produce the small kitchen knife with a plain edge blade which is ideal for peeling and other small or intricate work. 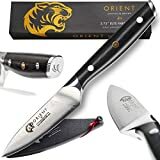 This 3.5 Inch paring knife features classic styling that you will love..
MULTIPURPOSE SERRATED PARING KNIFE: This professional paring knife is designed for everything from garnishing, mincing, or peeling, to slicing or dicing. You can easily handle your daily kitchen tasks of slicing of fruits and vegetables..
RAZOR SHARP BLADE: This 3.5 Inch paring knife is made from the high quality German stainless steel(5Cr15MoV), with an exceptional and enduring razor sharp edge for ultimate precision and performance in the kitchen..
ERGONOMIC PAKKAWOOD HANDLE: Featuring a full tang, this knife gives you stability and control for sure, safe handling during meal preparation, even when wet. The ergonomics shape enables the right balance between the handle and the thin blade, ensuring ease of movement..
BEAUTIFUL PATTERN: The special waved pattern blade is particularly and strikingly (5Cr15 Move stainless steel kitchen knives, not real Damascus). YOUR INVESTMENT IS FULLY GUARANTEED. We Offer Lifetime Warranty and Return Policy..
PAUDIN's paring knife is a superior knife that belongs to the chef and those who is fond of cooking worldwide. 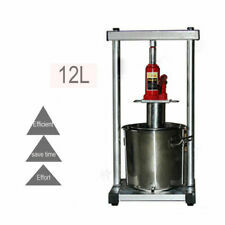 The helper for your kitchen, give you a reason to love cooking. Ultra-Sharp Reliable performance, precision forged blade makes every cut and slice happy, better longer edge than ordinary knife, due to the extreme hardness of HRC 50+ Ultra-durable Made of German steel 5Cr15MoV (1.4116), the blade has durable life; The superb alloy prevents dulling and rust, maintains as the original sharpness overtime. Safe, healthy and easy to care Safe, smooth cut can be easier controlled and keep safe as while used Healthy, super anti-rust makes every cut fresh and clean After clean and dry, it is convenient to keep shining and sharp. Some golden rules for treat this kitchen knife Rinse as soon as you're done with it. Dish detergent can be used. Most importantly- to avoid rust, you must dry it off after you use. Hand washes- no dishwashers. About PAUDIN One of emerging global brand, PAUDIN has synonymous with superior quality products with a yond and very motivated team. The start-up has used innovative technologies to build highest quality and most appealing design. PAUDIN works with the young talent designer who shared the brand's value and vision, then and now, commit to make customer satisfied. 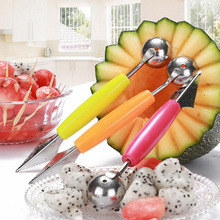 Stylish and sleek, this 2-Piece Fruit and Vegetable Knife Set from Farberware helps you slice, core, peel, and chop fruits and vegetables with ease. The handles are brushed stainless steel, ergonomically designed for comfort while cutting, and perfectly weighted and balanced for optimal control. The blades are made from high-carbon stainless steel, making them strong and durable. Set includes: 5.5-inch serrated utility knife and 3.5-inch paring knife. Hand-wash with warm water and a mild detergent; rinse and dry immediately. ShowLo Quality: FDA approved food-grade Stainless Steel promises the safety in food making, now just focusing more on your EXQUISIT DISHES!. 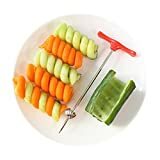 EASY TO USE: Remove the top and bottom of the fruit or vegetable to make it like a pillar shape, then plug the tip of the Pulp Roller in the middle, and gently spin it in one direction as the ring blade goes deeper. Finally, when it penetrates the spiral pulp is made, and you can either push it out or cut the fruit skin and take it..
Good for making creative dishes: Make interesting dishes to attract your guest, or as food garnishing to have fun! Suitable for cucumber, zucchinis, sweet potatoes and more..
Worry-Free Purchase: Please notice "Show Lo" to enjoy all worry-free purchases with 30 days warranty, which provides free exchange or refund!. TAKING THE PARING KNIFE TO NEW LEVELS ★ Multi purpose Damascus paring knife for intricate chopping, mincing, slicing and dicing. 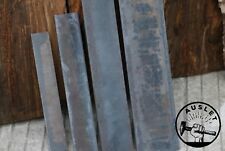 Razor sharp edge, laser tested edge ground to an incredibly fine 7-13° V ground edge. Enduring performance, expert durability at an unbelievable price..
ERGONOMICALLY DESIGNED FOR CUTTING PERFECTION ★ What makes Orient different from the competition is ergonomics. The 3.75 inch petty knife features the Ergo-Grip G10 Pro handle providing a balanced comfortable sure grip for expert handling, agility and precision. Intricate counterbalance and mosaic 3 pin adds beauty. Bonus sheath included..
JAPANESE TRADITION MEETS WESTERN DESIGN ★ Expertly crafted from the finest 67 layer AUS-10 Super Stainless Steel from Japan, vacuum freeze heat treated for added strength taking the blade to 61±1 HRC. The 3.75in pairing knife is the ultimate prep knife for effortlessly prepping fruit, vegetables, and herbs, and knife work in the hand.. BACKED BY AN INCREDIBLE COMMUNITY ★ Launched on Kickstarter and Indiegogo our work is backed by hundreds of avid home cooks and professional chefs. Join Club Orient today! We deliver superb quality knives that lead the way in design innovation and engineering..
RISK FREE PURCHASE - MAKES A GREAT GIFT ★ We strive for 100% satisfaction and perfection with every customer. Lifetime warranty against defects in materials and workmanship. If you don't love your Orient paring knife return it for a money back guarantee. An ideal gift for any food lover, home cook, pro chef, commis chef, trainee culinary student.. Combining Western design and ergonomics with Japanese blade design the Paring Knife is a thin-bladed knife designed for coring and paring (peeling) fruit such as apples as well as slicing smaller ingredients. Perfect for detailed and controlled cutting the paring knife is an essential part of every home cook's knife collection. The Damascus Series Paring Knife is made using imported AUS-10 Super Steel from Japan, the ergonomically designed knife offers a full-tang for balance, and G10 handle for strength and moisture resistance. Precision forged from AUS-10 Super Steel and layered in 66 layers of SUS430/431 high carbon Japanese Steel that resists stains and corrosion. 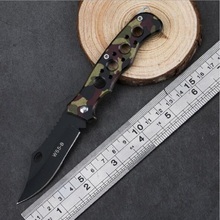 3.75 Inch blade with razor sharp edge. Ergo Grip handle is contoured for a comfortable grip. Fusing the professional’s choice diagonal bolster for utilizing with the pinch grip technique Super strength steel offers a much sharper blade with twice the edge retention of German Steel Knives. The full tang is triple riveted to the handle for exceptional durability with a feature mosaic rivet for added elegance. 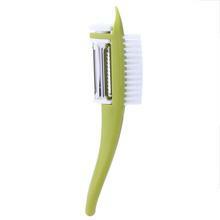 Durable G10 Fiberglass handle is moisture resistant, will not change shape or crack. 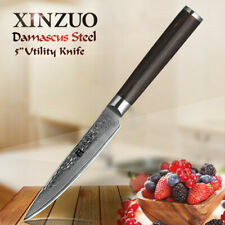 Made by highly skilled bladesmiths in Yianjiang City in China with 90 day production process. "HAROLD IMPORT" WAVY KNIFEAssorted colors.For fast & fancy cuts.This wavy knife will help give your veggies that fancy cut! Made of stainless steel, the knife is strong, durable and has a super sharp blade. The knife is ideal for potatoes, zucchini, cucumbers and carrots. * Stainless Steel * Wavy Knife * Assorted Colors For fast and fancy cuts create designer style. 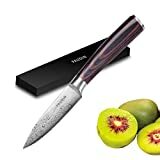 1 Stainless Steel Grapefruit Knife 3.75" Serated Edge Blade Dessert Cirtus Fruit NEW1 piece of brand new Grapefruit Knife with Serrated Edges. Mirror Finish Stainless Steel. 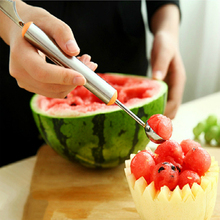 Cuts easily into any citrus fruit. Measures 7.25" long. 3.75" Blade.